For me, Musc Ravageur is a fragrance that presents a lot of bark and unfortunately very little bite. Perhaps more relevantly, Musc Rav. failed to deliver the high standard I expected due to the ravings in the perfume community. When I wear Shalimar, it seems to very happily sketch itself into, and flesh out itself into the gourmand domain. With consideration, as long as you have vanilla you will have a gourmand in a very loose sense. 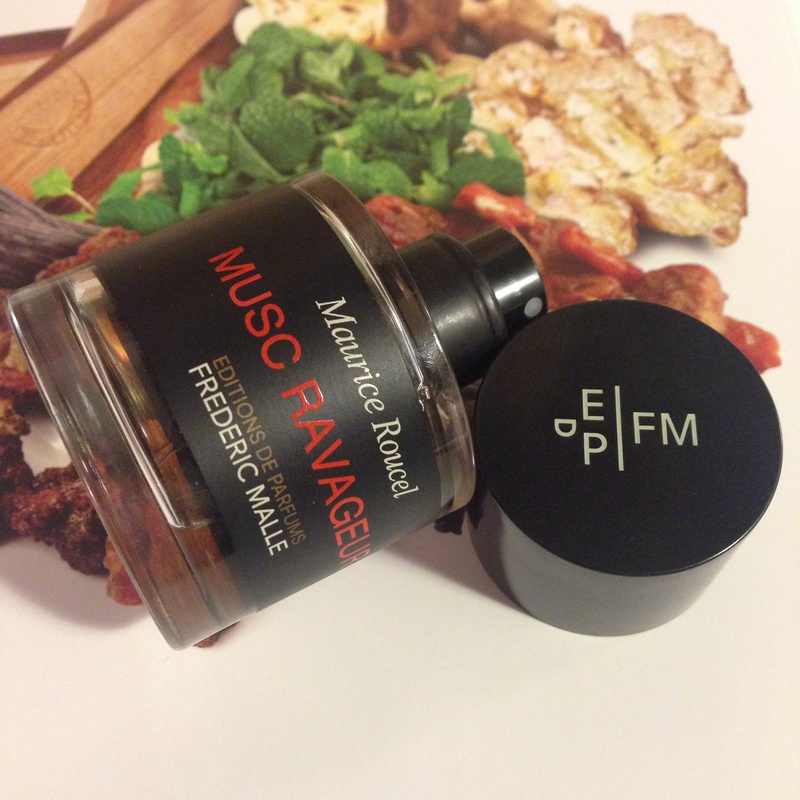 So for me, Musc Ravageur smells incredibly edible. Work through the top notes of Musc Rav. and you will find edibility in the scented format. On first spritz, there’s a surprising discreetness, unexpected for its name. Find a lavender stripped of its roughness, almost contiguous with Ellena’s Brin de Reglisse in terms of smoothness. Hovering about this, there’s the oily features of bergamot, revived with a surprising honey-like sweetness (which I discovered to be from the tangerine). The citrus above the oriental structure indefatigably calls to mind the almost tar-like and plastic impressions of Shalimar (namely the vintage works), in which both works require some time to spread out on the skin. The spices in this perfume are namely clove, cinnamon and vanilla and when these are combined with the high-quality musk found here, I find something inexorably comfortable. The key contributor to this impression is how toned the spices are – with a warm and gently smouldering quality that parallels the Queen Shalimar. This then diverges into a new territory that is like spiced dried black tea; the spices are only obvious when they need to be. It is soft and supple. And namely, it is not impossible to suggest that Musc Rav. applies like an Oriental already in its late dry down stage – a sultry worn in oriental shrouded in a tart and sweet vanilla haze. My ‘fuss’ with Musc Rav. seems to be that the overloading of musk turns into a big translucent cloud that conceals any generous impression of raw sexual attraction that one craves for in a musk perfume, and especially a perfume that claims to cause ravage in the pudenda regions. Find additionally a semi-chocolate note, counteracted with sandalwood, and trace elements of patchouli, amber, and something loosely woody. Are these airy notes necessary? Sure, they make for something still sufficiently enjoyable, but they become extraneous in the dry down because of how linear this fragrance remains (but I will stress, like the optimist I am, this is still very enjoyable for enjoyability’s sake). For example, if I were to compare this to Muscs Koublaï Khän, the musk note there is built upon well, and improved and increased with a dirtiness that becomes favourable in its intended goal. Musc Rav. marvellously teeters around this idea, whereas Muscs K.K. takes musk and adds a severe carnal aspect through other bodily impressions. Alternatives: Muscs Koublaï Khän by Serge Lutens; Labdanum 18 By Le Labo; and Obsession (Femme) by Calvin Klein. Great parts do not necessarily make great(er) fragrances. This entry was posted in Frederic Malle and tagged Fragrance, fragrance review, Frederic Malle, Maurice Roucel, Perfume, perfume review. Bookmark the permalink.